Clearance(mm): 27 Horz. x 12 Vert. 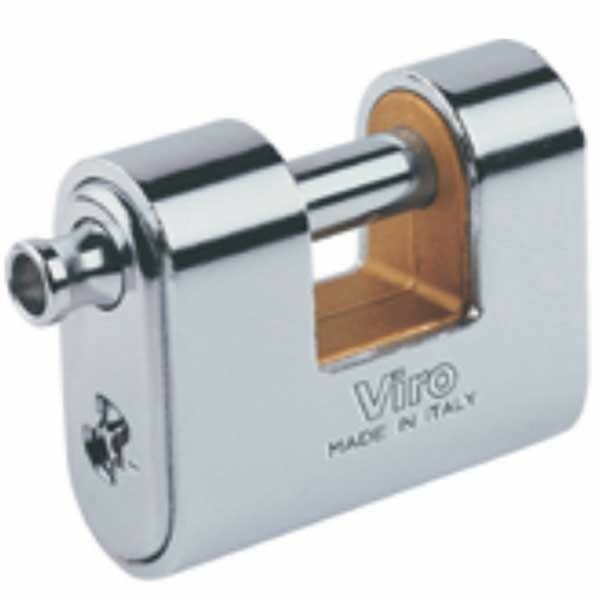 Thanks to the high-quality materials used, the exclusive shape that makes them practically impossible to grip with burglary tools and the maximum security mechanism, the Viro "PANZER" armoured padlocks are the ideal solution for securing shutters, doors and gates.